President Muhammadu Buhari, Thursday promised to run a corrupt free, transparent and inclusive governance in the next four years. 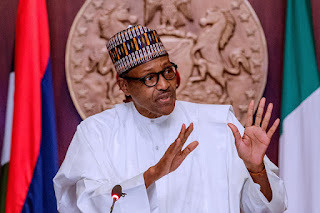 Speaking with delegation of the Nigerian Union of Journalists led by Mr Chris Isiguzo at the State House, Buhari said that his administration will in the next four years pursue inclusive and transparent policies that will guarantee security and economic safety of every citizen. President Buhari urged members of the Nigerian Union of Journalists to support the government in devising a means to control the spread of false information, warning that those who “create alternative reality’’ on social media are steadily eroding the credibility of journalism.